Pray for all the resources and creativity needed to fulfill the intentions of God in the state of Montana. State Information: Montana is known as “Big Sky Country”. The members of the Lewis and Clark expedition were the first white explorers known to have set foot in Montana. It joined the United States in 1889 as the 41st state. 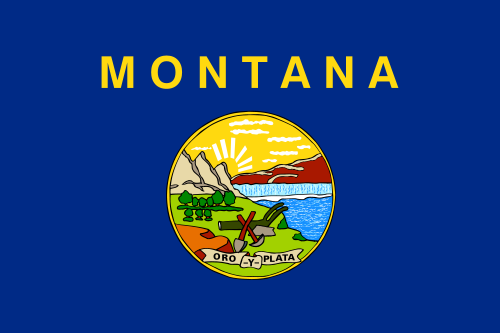 The name Montana comes from the Spanish word Montana, meaning “mountainous,” although the eastern part of the state consists of gently rolling pastureland. The Anaconda Company had a stranglehold on the state’s copper industry for about 100 years, but today Montana is known as a tourist destination for those drawn to its many trout streams and wide open spaces. Its capital is Helena and the state flower is the bitterroot.